Alternative, renewable energy is not merely an afterthought in oil-rich Angola as the country seeks to diversify its booming economy. After an absence of three full decades, sugar cane made its return as a cash crop just five years ago and is now poised to become yet another engine of growth. Next year, the Malanje Province, on the fertile central highlands, is to become a major producer of biofuels with the completion of a processing plant slated to crush over two million tons of sugar cane annually. The $197m project – Companhia de Bioenergia de Angola (Biocom) – is a joint venture between Brazil’s Odebrecht and Angola’s Damer conglomerates. The state’s ANIP (Agência Nacional para o Investimento Privado) investment agency holds a minor stake in the venture. The Biocom plant is expected to output 260,000 tons of sugar besides 30 million litres of ethyl alcohol (ethanol) each year. A power plant fuelled by bagasse, a post-processing sugar cane waste product, will generate 28MW of electricity for the strained local grid. “Angola now imports all the sugar it consumes though thirty years back the country was a net exporter of the commodity. We now reintroduce sugar cane as a viable cash crop and as a way to help re-launch Angola’s largely dormant agriculture sector,” says Rui Amaral Gourgel, president of Biocom’s Board of Directors. According to Mr Gourgel, by this time next year some 500 fulltime jobs will have been created. Training of key personnel is already taking place in Brazil with a first group of 62 newly formed ethanol plant technicians expected back in Angola shortly. Additionally, up to 700 people in Malanje Province may find work as subcontractors. Biocom is by no means the only biofuel initiative unfolding in Angola. Around the town of Humbe, close to the border with Namibia, two large-scale biofuel projects are by now already well on their way with ethanol production volumes steadily increasing. The Marubeni Corporation from Japan has recently been asked to build a third sugar cane processing plant valued at well over $650m. This facility, near the town of Cunene, is to produce about 40 million litres of ethanol annually. 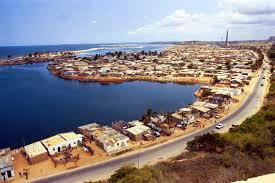 This order represents the second largest contract awarded Marubeni by Angolan authorities. Earlier the company received a $1bn contract for the rehabilitation of three textile plants in the country. By any measure, Angola’s capacity for renewable energy generation is enviable: The government in Luanda has just finished a feasibility study on the hydropower potential of the Kwanza River identifying nine sites suitable for damming. The river may generate up to 6,000 mega-Watts of power. Currently only two mid-sized dams span the Kwanza generating about 700MW. The Russian government has pledged financing for two hydropower projects on the Kwanza River that will generate some 2,000MW. Meanwhile, a $7bn bi-national project is taking shape on the Angola-Namibia border. Here, a 400MW dam is to be built. However, renewables in Angola suffer from a lack of legislation. The national parliament is mulling a series of proposals regulating both the hydropower and renewable energy sectors. Investors are waiting for regulation to be put in place before committing to other large-scale projects in the country. It is estimated that the current complex web of subsidies cause inefficiencies equivalent to about 1.6% of Angola’s GDP. Revitalizing and upgrading distribution networks is a must should the government want to meet its ambitious targets of boosting domestic power production to 7,000MW by 2016, enabling per capita consumption to increase eight-fold to 4,000 kWh.